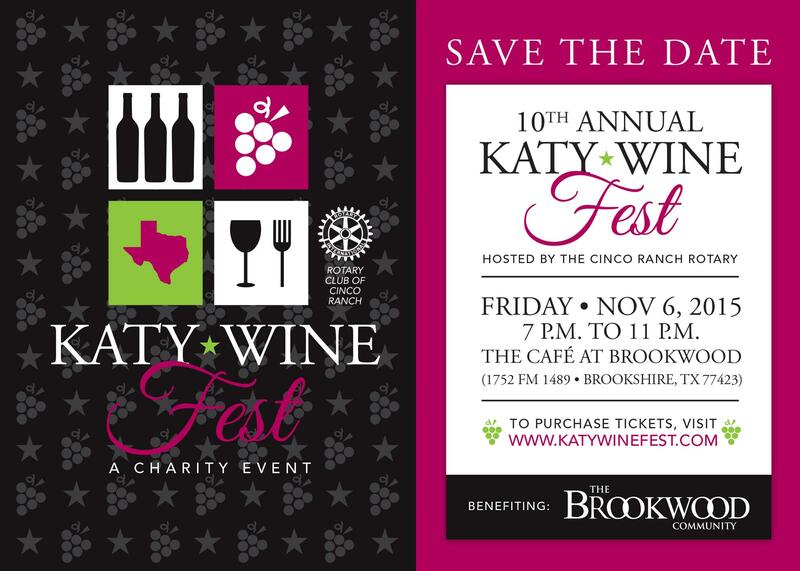 The 10th Annual Katy Wine Fest, hosted by the Cinco Ranch Rotary Club, will be held on Friday, November 6th at The Brookwood Commuity from 7PM to 11PM. Proceeds from this event benefit The Brookwood Community and their programs. For online ticket purchases, or more information about the event, visit: http://katywinefest.com/. For information about sponsorships, event donations, or to purchase tickets via check or cash, contact us at katywinefest@gmail.com, or 281-450-4446.